The film was released on September 28 and is running in over 2500 screens across the country. 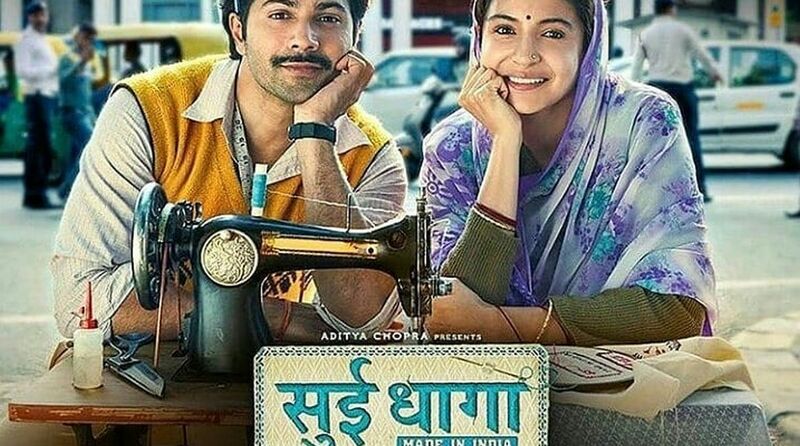 Anushka Sharma and Varun Dhawan starrer Sui Dhaaga: Made In India has garnered Rs 20 crores during the first two days of its opening. The film, which had a slow start on Day 1 raking in Rs 8.30 crores, saw a surge on day 2 of its release. Film critic and trade analyst Taran Adarsh tweeted on Sunday that the film is expected to grow ahead, taking into account the weekend and Gandhi Jayanti, which is a holiday. #SuiDhaaga zooms upwards on Day 2… Catches speed at metros and mass belt… The target audience [families] have taken to the film, thus converting into increased footfalls… Expect a SOLID Day 3… Fri 8.30 cr, Sat 12.25 cr. Total: ₹ 20.55 cr [2500 screens]. India biz. Helmed by Yash Raj Films, the Sharat Katariya directorial has brought actors, Varun Dhawan and Anushka Sharma to share the screen space for the first time. Among the films released this Friday, Vishal Bhardwaj’s Pataakha has had a slow start with a total earning of Rs 2.3 crores in two days.